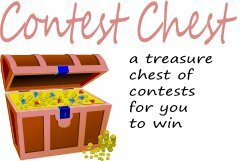 I received the Sofia The First: The Enchanted Feast DVD for evaluation purposes. Thoughts are my own. 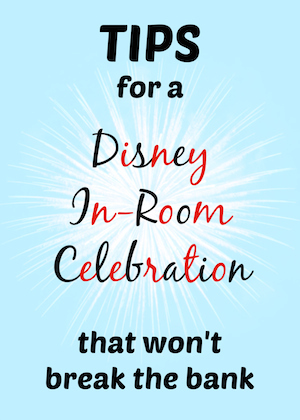 As you may already know, I am a Disney Junior fan and my favorite shows include the Mickey Mouse Clubhouse, Jake and the Neverland Pirates, Doc McStuffins and Sofia The First. And that’s not mentioning the classic Disney stories I’ve come to love as I was growing up. 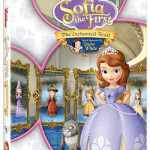 And now Disney has released a new DVD — Sofia The First: The Enchanted Feast! 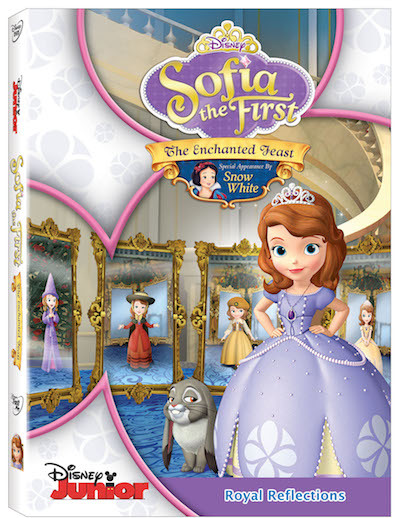 Sofia The First: The Enchanted Feast features a special appearance by Snow White, plus 4 additional episodes and a FREE Enchanted Mirror! I love that this new installment of Sofia The First features another well-loved Disney princess. They’ve already featured other classic Disney princesses in past Sofia The First DVDs and I guess it’s high time that they feature the very first Disney princess in one! The DVD also includes 4 additional episodes — The Buttercups, Tea For Too Many, Great Aunt-Venture, and Two Princesses And A Baby. 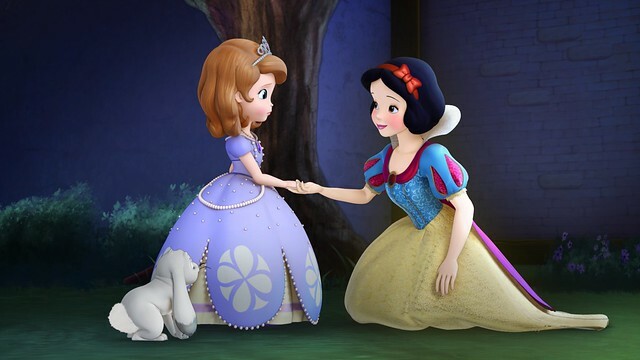 As can be expected in all Sofia The First episodes, they highlight the importance of friendship and helping others when they’re in need. BUY IT! 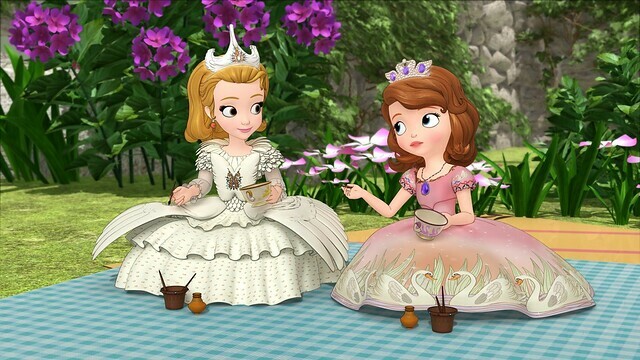 Grab a DVD copy of Sofia The First: The Enchanted Feast at your nearest retailer! It’s also available on Amazon.com! OK my niece is really going to love this. Too cute! MY Niece is going to love it! Will have to get this for my granddaughters. The old videos are starting to be boring. They grow up too fast! Our two little grand daughters, age 2 and 3 LOVE Sofia the First. We are getting QUITE the education on the new characters and movies out there now. Well, we also have a 2 year old grandson and I think he actually likes this too. Thanks for the heads up on a new dvd. Wonder if the kids can hold out til the Holidays to get as a gift…that would be an easy gift idea! My little niece just love Sofia and it really makes them so happy to sit down and watch her dvd. My granddaughter would love this, she’s always dressing up as a princess in her gowns from Disney! My nieces will love her! They have the princess dresses to dress up in to watch. thank you for sharing this! We just bought the Sophia the First Mermaid DVD for my daughter and she loved it. i think she would love this one also. Thanks for the review. Thank you for the review — I’ve been looking for a new movie to order for my granddaughter and this one sounds perfect. My nieces love Sophia the first! MAybe I’ll get the dvd for their birthdays or Christmas. All coming up towards the end of this year. I love the meaning that you mentioned that this DVD is about. I know all three of my nieces would love this! Great Review, as usual girl! My friend’s granddaughter would love this. My kidlet has outgrown the Sofia craze, but I have a beautiful niece that would love her!! Very cute! 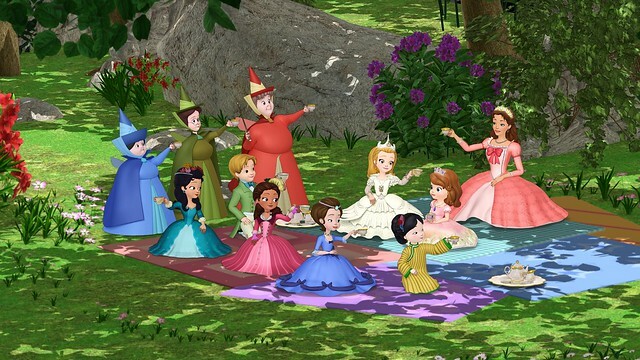 My house is full of Disney Junior fans and I like Sofia the First because of the good messages in each episode. It sounds like a cute video. I’m sure my grand daughter would love it. She’s just the right age. This Sophia the First sounds wonderful and it shows how friends (Snow White) can help each other get what they need and how Snow White helps Sophia get her amulet back, very important lesson for children to learn about helping others and they will help you. My nieces both love princess movies and I think they would really love to watch this one. It looks so cute and the characters are so pretty. This looks like a lovely typical Disney Princess movie 🙂 Thanks for the review. My daughter loves princesses and would love this. I am sure that my niece would love this movie. Thank you for your review. My daughter would love this DVD. She used to watch Sophia the 1st on TV. And..her name just happens to be Sophia too! sophia is cute. I’ve caught my 7 year old son watching this program once or twice. It is catchy. Sofia the First is one of my 4 year olds favorite cartoons! We love Disney Jr and I love the message that Sofia the First sends to my daughter! I didn’t even know that episodes were on DVD yet, but that’s awesome and will make a great Christmas gift for her! I like Sophia the 1st. She sets great examples and leads our Children in the right direction. My girls love her! My little cousin would go crazy over this! She’s a major Sofia the First fan! My kid loves watching Sofia First on Disney Channel! I am pretty sure she is going to love these DVDs! I have never seen this, but I think my niece would love it. Especially with the princesses! My grand daughter adores Sophia and was Snow White for Halloween. She will love this, thanks for the review! I love the dress Sofia the First is wearing. We love Sophia the First, my daughter has a ton of her dolls and toys, and we always record it when it comes on. Great show for kids. This sounds like something my niece would love, thank you for sharing. I love Sofia. 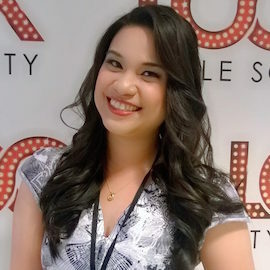 She has great lessons about being a good person and friend for children to learn. My nieces would really enjoy watching these movies! My girls love Sofia..nice review. I like that these teach kindness for others. I know my grandchildren will love this movie! Thanks for the review! Aw, this looks so cute! I can’t wait until my nieces are old enough to watch all the Disney princess things with me! I just got a bunch of Sofia print out coloring pages from Disney Rewards. I sat here printing them out last night for my grand kids. my grandson, who is one, loves to watch sofia. i think some of it is the music, but this is a great cartoon show, with lessons on life for the little ones. Looks like a cute movie. My niece would like this one. This is one of my daughter’s favorite shows. I have seen it a few times and I think it is a really cute show. my daughter loves Sofia so much. My niece will love this! Thank you for this share! My Granddaughter loves Sophia and so do I. I like it deals with issues of friendship and manners.